As Pagans, how we use our words and how we present those words is of great importance. Above many others, we need to have precision in our speaking and our writing. In a world where laziness and inaccuracy are frighteningly abundant, the magical community needs to be sure to step up and set a proper example. Why would spelling and grammar matter more for a Pagan, you ask? There are a few reasons. First off, everything you say carries power. Every word, written or spoken, has an energy, and that energy affects our reality. Whether it be on a mundane level or a magical one, all of our communications alter our very existence. Choosing our words carefully and presenting ourselves in the right light is extremely important. When you’re using magic, it becomes even more so. When it is your intention for the words you use to have a specific effect, it’s important to not make mistakes. A perfect example of word choice is something I just saw on a show. Someone wanted two people to make love so they would conceive a child, but wished for them to “sleep together” which resulted in them literally falling asleep near one another. Spelling can be just as important, if not more important. There’s a big difference between “altar” which is your place of worship, and “alter” which means to change. “Godes” isn’t the same as “goddess”. “Penticle” Isn’t a proper word, but “pentacle” is. “An” is not the same as “and”. The difference between “conscience” and “conscious” or “weather” and “whether” could be a big deal. Misspellings and improper word use can radically change the outcome of a spell, and can cause confusion when sharing information. For those of you jumping to the conclusion that many of these errors are the result of people trying to communicate in a language other than their native one, I assure you, that’s not the case as often as you’d think. 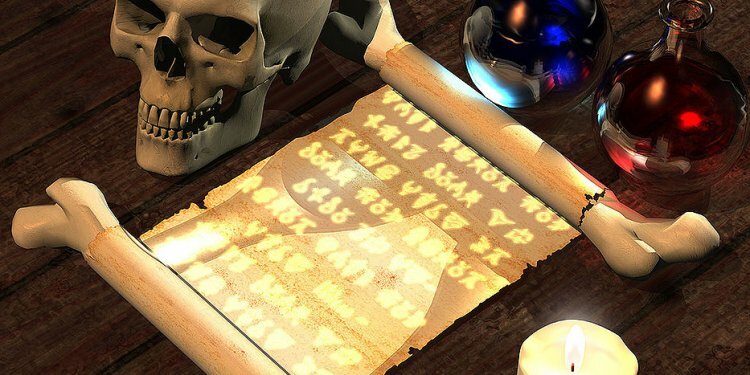 I have encountered no small number of spells, posts and social network messages littered with spelling, grammar and punctuation errors, that were written by people using their native language. More often than not it’s people just not paying attention to or not caring about how they communicate. It’s worth mentioning, as a side note, that when you’re working magic, you should always do so in your native tongue or one you’re fluent in to avoid miscommunication or errors. it may seem cool to work in another language, but if you’re not careful, things can go horribly awry. Some may also try to say that it’s just young people spreading poorly spelled spells. While there are far too many spells on the internet written in text speak and slang (which should be widely and strongly discouraged by anyone serious in the magical community) it’s not just young people doing it. It is a sad fact that many younger people think it’s cute, cool or rebellious to write poorly and in urban terms. It’s not, and they’re not the only ones guilty of it. Plenty of adults are creating magical memes and downloadable spells riddled with issues. Another “defense” I’ve heard from people is that “the higher power knows what I mean”. It’s possible that that may be true. Maybe they do, but maybe they’re up there on high, face-palming and not giving you what you want because you’re not getting it right. You do yourself, your god(s) and the world at large a tremendous disservice when you’re careless about how you communicate. In every area of your life, communicating properly is important, and one should never assume that anyone, not even a deity, is going to be able to make it out and understand it the way you intended. I believe that whether you call yourself a witch, shaman, wizard, or something else, all of us who are spiritual practitioners have a responsibility to make sure that what we do is the best it can be. Every spell we cast, chant we write down, every piece of information we share, should be carefully and intentionally crafted. We have a divine duty to bring the best into the world. We aren’t just rushing a message off to a friend, we’re sending messages to our gods, teaching other practitioners and raising the next generation of magic workers. If we allow ourselves to be lax in our speech or anything else, we harm everyone who experiences that. We diminish and damage that which we hold dear. I always encourage everyone to learn to spell, speak and write correctly. However, I do think that it is of even more importance for those of us who are spiritual and magical practitioners. Precision and care make us better for ourselves, our deities, and the rest of the world. We set ourselves above the average and show that we are knowledgeable and worthy of respect. We show that we care about what we’re sharing with and teaching to our peers and the next generation. I implore all of you to start paying more attention to how you communicate, especially when you’re sharing with others. Even if it’s “just on a social network”. There are no places where we should accept complacency or inferiority. Sure, it takes a little extra time to look up words you’re not familiar with, learn grammar rules and spell-check (for yourself, since we know how bad auto-correct is) before hitting send or post, but it is worth every second. You will be making yourself a better person, a better teacher, and a better magical worker.